For any professional sports league, growth is crucial. The NHL has shown that they know this by adding the Vegas Golden Knights in 2017-18 and a new team in Seattle for the 2021-22 season. For the next expansion, the NHL needs to look bigger than North America. They need to look to Europe. Related: Is NHL Expansion to Europe Still on the Radar? This has been a topic of conversation for many years now and has no intentions of slowing down. 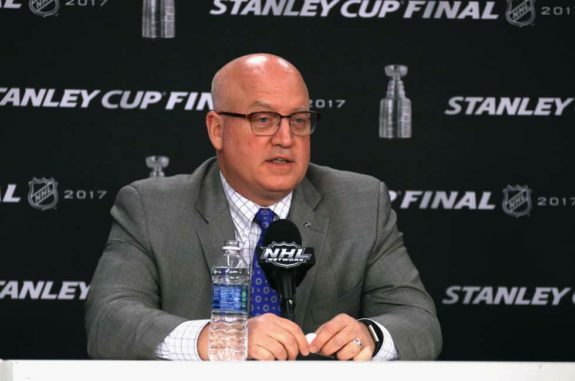 In November of 2018, deputy commissioner Bill Daly gave his stance on the idea of expanding into Europe, what can now be considered the official stance of the NHL. Which cities would get teams? How would the scheduling work? Would European fans support the teams? Would the NHL talent be diluted? Would both the NHL and NHLPA support the expansion? When would the Europe expansion happen? These all must be considered when thinking about growing the NHL across the Atlantic Ocean. It’s looking more and more likely that it will happen one day, which it should. So, let’s dive into each question. There are many other places that may be considered, but these seven spots would be the easiest for the NHL to transition into. Either they are already a hockey-hotspot, they have the population, or they have a rink that could maybe be expanded into an NHL-size rink. Most of these places have already had glimpses of the NHL in their cities. Some locations check off multiple boxes. Sweden is already a hockey hotbed in Europe. The country is a perennial threat to win nearly every international tournament they’re in and they continuously produce top-end talent. As the capital of Sweden, Stockholm would be the best place for the NHL’s first wave of team’s in Europe. Sweden has already been exposed to the NHL’s presence for a number of years, ever since 1980 where the Washington Capitals and Minnesota North Stars entered a round robin tournament with AIK and Djurgårdens IF. 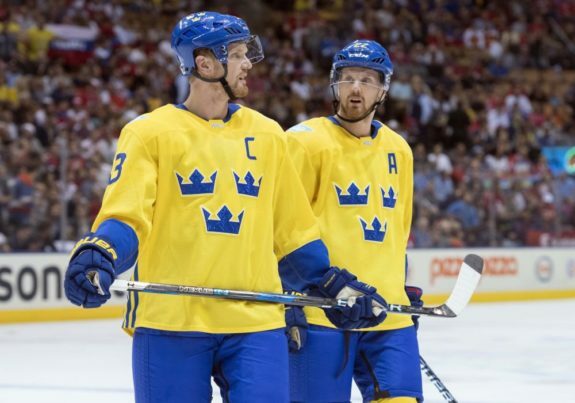 The final game of the tournament was televised live in Sweden on “Hockey Night in Sweden.” Another memorable moment was Daniel and Henrik Sedin and the Vancouver Canucks playing against Djurgårdens, AIK and MoDo where then-rookie Daniel scored the tournament-winning goal in overtime. Stockholm is already home to Djurgårdens IF of the top-tier Swedish Hockey League (SHL) and AIK IF, playing for the second-tier HockeyAllsvenskan. If the NHL expanded into Sweden, perhaps one of these teams becomes the NHL team. Alternatively, the SHL could act as the Swedish team’s AHL-equivalent team and the NHL club is an entirely new entity. An aspect that holds Stockholm back from getting an NHL team, in fact, it holds all of the following locations back as well: an NHL-caliber arena. Currently, in the Swedish capital, the largest arena is the Ericsson Globe which holds a capacity of 13,850 for hockey games. If there’s a city and country in Europe that’s equal to Stockholm, Sweden’s love for hockey, it’s Helsinki, Finland. Right up there with Sweden, Finland has been producing elite-NHL talent over the years and has risen to be one of the most prominent hockey superpowers in the world. Just like Sweden, Finland has had its fair share of NHL exposure, dating back to 1994 when the Winnipeg Jets travelled to the country to play a pre-season tournament against Finnish teams. 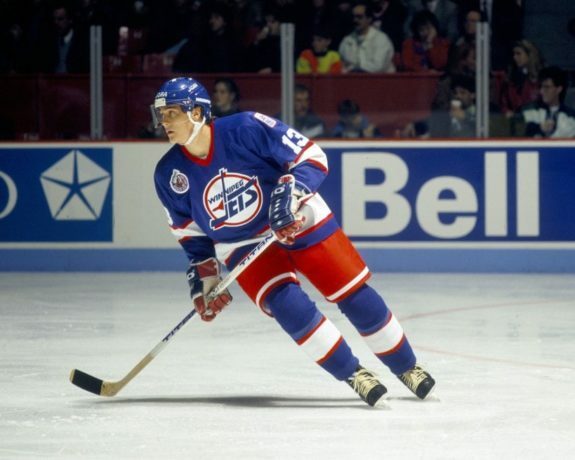 A young Teemu Selanne was a member of the Jets at the time and faced off against Jokerit as the main attraction of the event – his former club. Helsinki is already home to the HIFK of the Liiga hockey league and like the teams in Stockholm, this may help ease the city into getting an NHL team. The team currently plays at the Helsinki Ice Hall, which holds 8,200 people. However, HIFK is not the only team in Helsinki. The KHL’s Jokerit plays at Hartwall Arena, which holds a maximum capacity of 13,349. If the NHL wanted to make an NHL team work, this could be the spot until somewhere bigger is ready. The Czech Republic seems to be a major threat in international hockey tournaments every year. The country has produced some of the best players of all time and has a large hockey following. The NHL has already exposed itself to the Czech Republic, ever since 1989 when the Stanley Cup-winning Calgary Flames held their training camp in Prague before meeting the Washington Capitals in the then-Soviet Union for a preseason tour. 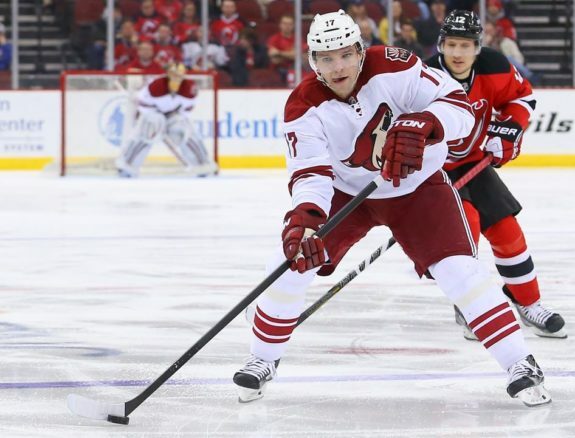 In 2010, Czech-born Radim Vrbata scored two goals and had an assist for the then-Phoenix Coyotes 5-2 win over the Boston Bruins in the 2010 Compuware NHL Premiere Games. Extraliga is the top hockey league in the Czech Republic, with Sparta Praha the team that calls Prague home. The team has been operating since 1903, proving that a hockey club can be viable in the city and country. What makes Prague even more attractive to the NHL is where Sparta Praha plays: the O2 Arena. The O2 Arena is likely the most NHL-ready arena in Europe, with a maximum capacity of 17,383. Cologne, Germany’s Lanxess Arena is the only one bigger in Europe, at 18,500. The O2 Arena has already housed two IIHF World Hockey Championships (2004 and 2015), along with NHL and KHL games. Speaking of Germany, they should get one of the first NHL teams in Europe too. While they haven’t had as much success at international levels as the other countries on this list, they’ve been on the rise, winning a silver medal at the 2018 Winter Olympics. Germany was actually one of the first countries that the NHL travelled to, dating way back to 1959 when the Boston Bruins and the New York Rangers went on a 10-city, 23-game tour of Europe. While in Germany, they stopped in Dortmund, Essen, Krekfeld and Berlin. 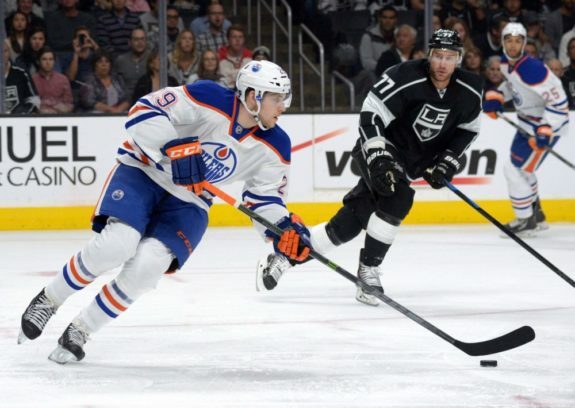 More recently, in the 2018 NHL Global Series, Edmonton Oilers’ Leon Draisaitl, a native of Cologne, Germany, had an assist in a 4-3 Oilers win over Germany’s Kolner Haie. Draisaitl’s father Peter was the coach of Kolner Haie. Germany currently has Deutsche Eishockey Liga (DEL) as it’s top-tier hockey league, with Eisbären Berlin playing in Berlin. The team is one of the founding members, establishing in 1954, and has won more title than any other DEL organization, with seven. The club also plays in a 14,200-capacity arena, the Mercedes-Benz Arena. This arena is where the NHL Premiere games were played and would likely be the destination of an NHL team. Just like the previous cities mentioned, they could temporarily play here until a bigger location is ready or depending on how attendance looks for the European NHL, this could stick. Finally, there’s Zurich, Switzerland. While not immediately thought of as a hockey superpower like the other countries on this list, there have been a number of Swiss stars coming from the country. They’ve even caused some major upsets at the Olympic level, beating Canada and the Czech Republic at the 2006 Turin Winter Olympics. In that NHL European tour that saw the Bruins and Rangers play in Germany, they also made stops in Switzerland, playing in Geneva and Zurich. The NHL has made numerous trips since then, including the 2018 NHL Global Series where the New Jersey Devils and Nico Hischier faced off against HC Bern of the National League. 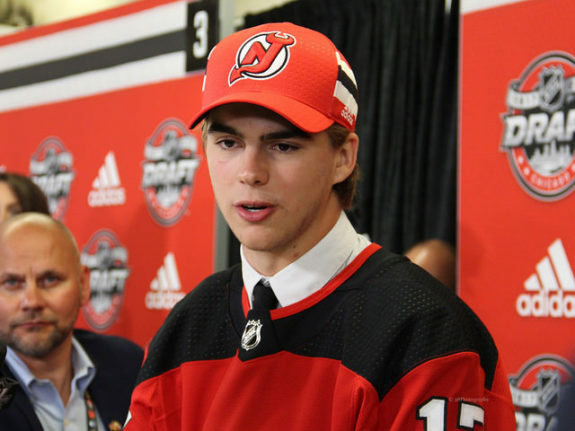 Hischier was the first Swiss-born player to be taken first-overall in the NHL Entry Draft in 2017 and received a standing ovation playing against his former team. The National League is the top league in Switzerland, with the ZSC Lions calling Zurich home. They’ve had a long residence there, as they were founded in 1930. They currently play in Hallenstadion which has a maximum capacity of 11,200, the smallest arena on this list. But, HC Bern, playing in Bern at the PostFinance Arena has a maximum capacity of 17,031. Bern may be the more attractive option for the NHL based on the arena. All of the options above are hockey towns, with current, successful hockey teams that have stood the test of time. Most of them have at least decent-sized arenas that would be enough to get the expansion started. Also important to note, the NHL has visited these cities and countries, making the league known to the hockey fans. While these may be the top contenders, there are many other cities in Europe that would get a look. Moscow, Russia should be considered as well. Russia has always been a hockey superpower, why not see what an NHL team in Russia would be like? Think back to all of the Olympics, World Championships and tournaments between Russia and Canada or the United States, there’s no question of hockey fans in Russia. 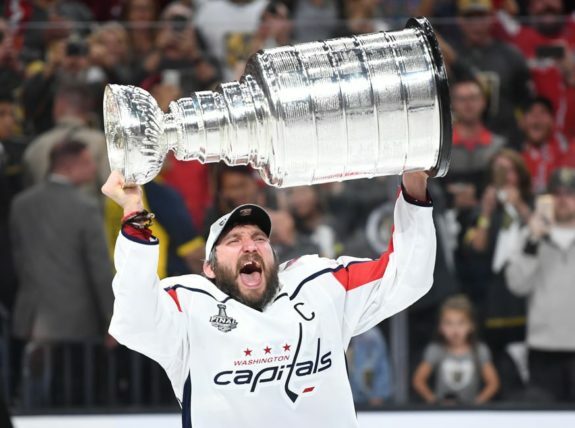 When Alex Ovechkin took the Stanley Cup to Moscow in 2018, he was met by thousands of fans. The biggest arena in Moscow is VTB Ice Palace, seating 12,100, although there is a proposal for a new 18,000-20,000 arena. London, England should be considered. While you don’t exactly think of a hockey-town when thinking of London, there’s lots about the city to make it a viable option. In the first NHL trip overseas, in 1938, London was host to the Montreal Canadiens and Detroit Red Wings. They also have the O2 Arena, one of the busiest arenas in the world with a capacity of 20,000. It doesn’t hurt that London has already had a hockey team already in the London Lions. In fact, they were founded by Detroit Red Wings owner at the time Bruce Norris with a vision of creating a league affiliated with the NHL in Europe. Other cities include Vienna, Austria, Oslo Norway, Riga, Latvia, Minsk, Belarus and Bratislava, Slovakia. These cities may not be a part of the first wave of expanding team but could very well be a part of a second expansion. With that, we have our European teams. Now, how would scheduling work? Obviously, you can’t just plug these teams into the schedule as you would a new team in North America. The schedule would be a bit more difficult, but possible. As it is now, every NHL team goes on a long road trip on the other side of North America, so that’d be nothing new. A flight from New York to Los Angeles takes roughly six hours. In comparison, a flight from New York to Helsinki take about eight hours, so the difference is negligible. This would result in each European team making one trip to North American per season and vice-versa. As for playoffs, the top three teams from each division (Metropolitan, Atlantic, Central, Pacific and European) would automatically qualify. The last spot would be a Wild Card, reserved for the top finisher among the non-automatic qualifiers. In European locations where hockey is already a popular sport, like Sweden and Finland, there’s no question that fans would show up to games. These cities already have a proven track record of people showing up to games, whether that’s their current European teams, or an NHL event. In the 2018-19 season, Stockholm’s Djurgårdens IF has an average attendance of 7,355 and that’s the second-best in the league. Gothenberg’s Frolunda HC has the best with 10,071 and has a record-high average of 11,688 from 2007-08. In Helsinki, HIFK averages an attendance of 4,727 and Jokerit holds an average of 8,768 in 2018-19, with a record of 10,932 in 2014-15. Eisbären Berlin averaged 12,026 in 2018-19 but has a record-high of 14,073 from back in 2011-12. Bern SC has brought in over 15,000 fans on average for 12 straight seasons, with the last six over 16,000. To compare, the NHL’s average attendance in 2018-19 is 17,447, with seven teams bringing in less than Bern SC brings in. With the European teams already attracting fans, it seems likely that an NHL team would bring in fans. If fact, it’s already proven that it can pull in European fans to NHL games. As of April 2019, the NHL has played 29 regular-season games to date at venues outside North America. The total attendance to those games is 386,818, or an average of 13,339 per game. Another concern for European expansion would be if the talent in the NHL would be diluted if more teams were added. This one is a bit harder to get around, because it makes sense that if you add teams, players from the current 31 (and soon to be 32) teams would need to go to the European teams. That’s a given. At first, the talent may very well be diluted. That being said, there are so many stars in the NHL right now, that every team will likely have at least one still, in most cases more. As the European teams gain traction in their countries, the game of hockey will grow as well, bringing in a whole new wave of NHL stars. There are leagues in all of these countries, and the surrounding countries have additional teams. There are star players in the world not playing in the NHL. Perhaps European teams would give those players a chance to play in the best league in the world. The growth of the NHL and hockey, in general, can only be a good thing for the League and it’s fans. In order for this expansion to happen at all, both the NHL and NHLPA need to be on board. Luckily, they already are, making this the easiest question on the list. Well, Daly and NHLPA executive director Donald Fehr are on the same page at least. 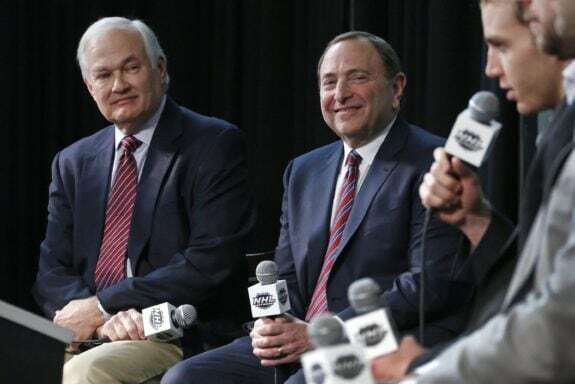 In November of 2018, Fehr, who has discussed this topic numerous times in his tenure, discussed the future expansion. He did point out that the players have not formed an official opinion, so his answers were him personal opinion. Daly also discussed the expansion, noting that it would be a long-term goal, “Those are short-term barriers and we’ll see if they can change in the long-term. The KHL has expanded into countries outside of Russia where they have absorbed existing teams from European leagues. They’ve done it without real damage to those existing leagues. “I think we have a very good relationship with all the European leagues. When we bring games over there, we do it in concert with the existing leagues and federations. 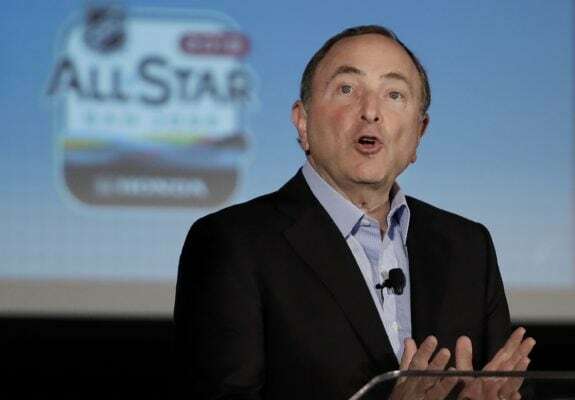 While the NHL and NHLPA seem to be in agreeance, there are some other parties that might not be on board with the NHL’s plans. 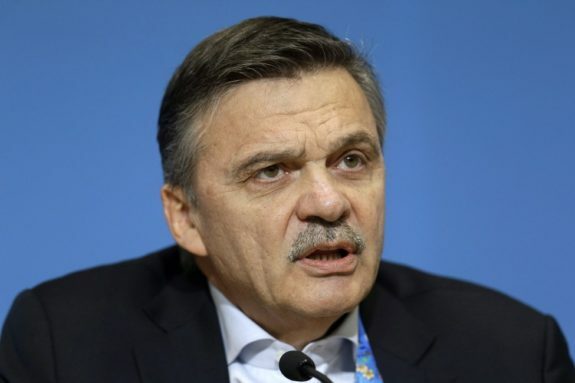 Rene Fasel, president of the International Ice Hockey Federation (IIHF), has indicated that he is opposed to this proposed expansion as he feels it poses a threat to European professional hockey teams. The KHL, which has expanded from Russia into the surrounding countries, including European ones on the list above, would also likely oppose the expansion as it may steal some of their fans. The same goes for the national leagues in each country. The NHL would need to work with all of these groups in order to make the expansion work, which as Daly said, they are willing to do. Finally, the biggest question. When would this happen? When this topic arose in 2008, many thought that it could happen within ten years. It’s been longer than that, and it still looks to be a long way off for the NHL. It would be at least another decade before there’s an NHL team in Europe, likely longer. In the meantime, the best thing the NHL can do is continue the NHL Global Series games. Up to this point, they’ve been selecting teams that have a star player in that country, which is working as seen in the Tweet from the NHL above, and they should continue to do that. Also sending the best teams over, regardless of where their players are from. Growing the NHL brand and building fans is the current priority on the path to putting NHL teams in Europe. More NHL games, events, television deals, it’s all preparation for the future of the league.